Wow, odd how blogosphere works. It took three months to climb to 300 followers and then I reached 400 at the blink of an eye. I am really, really happy to know that people have an interest in what I do. I committed to giving back each time I reached another 100 milestone with this blog. So, here is what I have for you today. There will be two prizes. The first is the Cheeky 2012 Summer Collection of Stamping Plates. I am totally in love with all of these. Not enough days in the week to get to try them all. The second prize is a little Indie Polish Pack. It consists of Smitten Aquarius, F4 Polish Blue Galaxy, Enchanted Polish Fun Dip and Sonnetarium Demonized. These are four Indie polish brands that I feel provide a great product and I have not been unhappy with anything I have purchased from them. There, of course, are dozens of others that I love equally as much but I am using what I have on hand at this moment and that I am willing to part with. You may enter through September 30, 2012. Indie pack..I haven't tried 3 of the brands! I would love to win the plates! I not own any Cheeky yet! I would love the indie pack! I don't have any indies!!! I don't have any Cheeky plates or indies, so I would be thrilled to win either. Stamping plates would be great! Congrats on your milestone! I've been craving(not just wanting) to get my hands on these plates. Omg :) what a lovely giveaway !thanks so much for this ! Would love the plates, just starting and don't own any cheeky plates yet!!!! Would absolutely love the Cheeky plates! I'm very into stamping right now. Thanks for having such a great giveaway! I would love the polishes!! I dont have cheeky plate yet.. I hope 2 win, so love it. Congrats on 400, Sue!! Totally awesome and deserving! As for prizes, if I were to win I'd love to try the Cheeky plates. Cheeky plates but love them both. Thanks for the giveaway! Ohh i would just love to win those new cheeky plates...Thanks so much for this awesome GA! Congrats on 400!!! I just started stamping, and I love it! I love how you can make a bald statement,, or just keep it elegant and simple. I wore OPI Alpine Snow and stamped with the gold from the golden jungle duo from Dior today, and I think it looked great! I used the Cheeky jumbo palette C, and the ones with the squares, if that makes any sense :P That is the only stamping plate that i own, so I would love to win those plates! I would love to win the indie's. Smitten and Enchanted are two of my favorite brands. I would love to win the polish. Congrats on surpassing 400! I would love to win the stamping plates- I'm kind of just starting out with stamping (and loving it so far). Congrats on so many followers!! This is an amazing giveaway!!! I'm gonna say the stamping plates! Either prize pack would be just lovely, thank you for the chance! I would adore winning the Indie Pack; Fun Dip & Sonnetarium Demonized!!Wowie!! I know what to do with rusty balls! hope i win!!!!!!! I would love those Cheeky plates! I really need to practice my stamping and plate sets are very difficult to find in Canada for less than $8/ea. That being said, those indies look phenomenal! =D Congrats on 400! lovely contest and both prizes are great but I would love to try the stamping plates... congrats on all of the followers! I think the indie polish pack is amazing! You have the best prizes! I really want the Cheeky plates but have no money for them. BUT on the other hand, I don't own any indie polishes and I really really want too. This is such a hard decision! I would love either of these prizes. Thank you so much for having a giveaway! I would have to say that I would really love the plates though. Thanks! I would definitely love the Cheeky plates. Stamping is sooo much fun. I would love the Cheeky plates. Love your blog! I just started using nail stamping plates, those would be amazing! I can't choooose! I would love either, but between the two, I would pick the polishes! -Also, it's commenting under my Blogger name, but my GFC is Samantha Rose. I haven't been able to figure out how to switch it. I would love to win the indie polishes. Those are all brands I have yet to try! I like stamping so I would love the cheeky plates! then the enchanted polish...never tried them! thanks for the great giveaway!! and congrats! I'd be happy with either! Congrats on your milestone! Cheeky plates. Thanks for the giveaway! Stamping, stamping! I love stamping! Thank you! Congratulations on the 400 - and thanks for hosting this giveaway! Congrats with the many well deserved followers! I'd love to win the stamping plates. I would love the indie pack! I would love to get plates. And thanks for GA.
the stamping plates woud be nice! I'd love either but I'm going to say stamping plates because I only have the 4 from the Salon Express kit andI want to try more! stamping plates please and thank you! congrats on 400!! I actually prefer stampy plates than Indie nail polishes, so they're my choise. I'd like to win the first prize, I love stamping and I've never tried this brand. Thanks so much for this giveaway!! I would love to win either!! If I had to pick I guess the polish would be my first choice! I wouldn't care! They are both awesome. I can't wait to see your Halloween nail art! Looking forward to October posts! The stamping plates - my collection is in serious need of a few additions! id prefer the stamping plates! I would like the indie nail polish because I would like to try them out. I want the indie pack!! Hard to say, I dont stamp but have always wanted to get into it sooner or later, this would just be sooner. probably the plates.. I would chose the Cheeky plates please, if I were fortunate enough to win! Congratulations on 40 followers, I'm only 28 away! They are all awesome, but I would love to try out the Cheeky plates! I'd prefer the 2nd prize. I would prefer the Indie Polish Pack but both prizes are great! I would prefer the Indie Pack! Thanks for the giveaway! I'd prefer the stamping plate! Congratulations and thank you for these amazing giveaways. I would prefer prize #2.
amazing giveaway! i would like to win stamping plates! I would prefer the cheeky plates. So awesome! I am a disaster at stamping, so I would like the second prize. I'd choose the stamping plates, thanks! Would love the stamping plates! Nice giveaway! Both? xD It's hard to choose since I love stamping, buta also enjoy a good Indie...but if I had to choose, I'd go with the stamping set. Maybe the plates slightly more? Ooo!! Both prizes are awesome! I'd love to try those Cheeky plates! The Indie polishes look amazing! 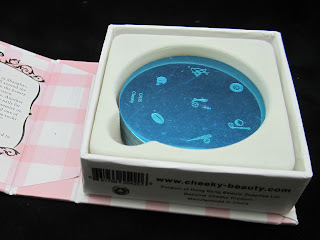 Stamping plates, I haven't tried them yet :) Awesome giveaway thanks for the opportunity! I would love the indie polish pack! I would love the stamping plates because I only own two. I would prefer the Cheeky plates. I'd prefer the polish pack, please. Thank you for the giveaway! I love both of them, but I've been dying to have a set of stamping plates so the Cheeky Summer Collection Stamping Plates! WOW, I'd love either, but I've had my eye on the cheekys for months now!! so, so hard to pick! But cheeky plates are on my wish list, so i'd have to pick them! I wouldn't mind too much but I've never tried any Indie polishes so I would go for the Indie pack. I would love to win the indie pack, but the cheeky stamping plates are also awesome!!!! Thank you for the giveaway!!! I'd prefer the indie pack since I'd love to expand my indie collection! Congrats on your milestone.. either would be amazing!!! I don't own any stamping plates so that prize would be awesome! I'd love to win the indie prize pack! I'd love to win the stamping plates. I only have a few myself and I'm getting tired of the same designs, haha. # 2 I already have the cheeky set:) I LOVE IT!!!!! It's hard to decide, both prizes are so great! But if I had to decide, I would love the indie polishes. I don't have Cheeky Plates or Indie polish, but I think I'd like the plates. I sadly do not own any Cheeky Plates and would love the chance to add them to my growing collection!!! Awesome giveaway!!! I would love either prize to be honest. The cheeky plates are on my wish list and Ive always wanted to try some of the indies but have been too scared to get them for fear of the glitter removal. Thank you for the oppertuinity to win either prize. I'd like to win the polish. LOVE Aquarius!!! I really love both sets, but I prefer the stamping plates! Both of these prizes are fantastic and I would be thrilled to win either one! Would really love to try out the stamping plates!! The plates would be awesome!!! Congratulaions! Great blog! Great prizes! I would love the plates! I want to win Cheeky plates!love them! Ohhh Cheeky plates, cheeky plates, cheeky plates! Please :) Congrats on 400! Congrats on 400! I'd love the indies, only because Demonized is one of my lemmings. However, the stamping plates would be interesting since I've never stamped before.